Mannisi Jewelers / Wellston Loan is a family owned and operated jewelry store and pawn shop located in North St. Louis County. We carry an extensive line of new and pre owned jewelry and watches. There is also a wide array of consumer electronics, tools, cameras and musical instruments. To see all the services we provide, please click here. 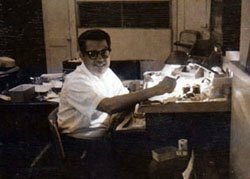 Sam A. Mannisi Sr opened Mannisi Jewelers in 1953 and was soon joined by his brother Angelo Mannisi after he completed his military service. In the mid 1960’s the pawn shop, Wellston Loan, was added. 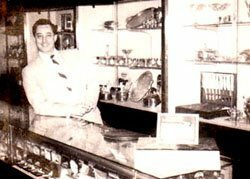 The combination of a jewelry store and pawn shop in the same location has helped the business thrive for 60 years. The business is still family owned and operated, providing the same kind of personal service it was founded on. Customer satisfaction has always been and will continue to be our number one priority.